Just because it’s Holi, doesn’t mean that you cannot look fabulous under all the layers of colours. Donning a dhoti-style saree can take your fashion game to a different level altogether. You won’t even feel any discomfort in these and looking amazing. Moreover, it would be a breath of fresh air from all the torn, old tees that you were planning to wear otherwise. You can never go wrong with dresses. Dress it up or dress it down and you’d still look stunning. Breezy cutwork dresses are all the rage these days and would give your body the perfect shape that you need. A splash of yellows and orange on a crisp white dress would just increase the oomph factor for you. Another foolproof pick for Holi is a white lace dress paired with white sneakers. This casual, sporty look would make you look super cute and tell the world how good you are at combining style with comfort. An all-white look in Holi never hurts anybody. 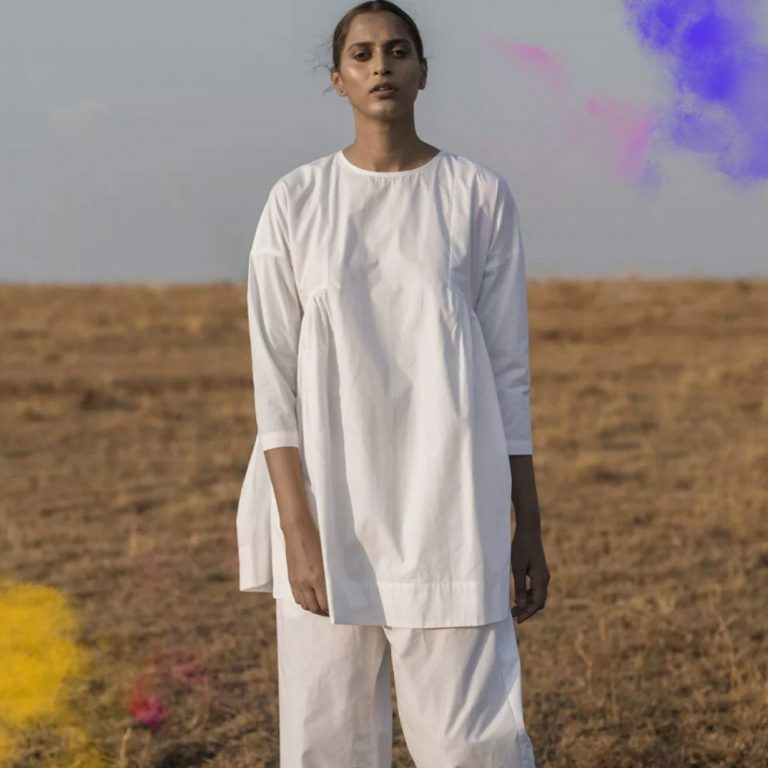 White kurti with an ankle-length palazzo or a simple white shirt with distressed white denims can work just fine for you. You wouldn’t have to put in much thought on your attire and still look as cool as ever. A white ganji in Holi is an evergreen classic which never goes out of style. It is casual, it’s cool and it’s very easy to accessorize it as well. When all else fails, pick out your white ganji and go, rock the party in your own style. Apart from all these outfit ideas, there are so much more that you can do with the whites in your wardrobe. 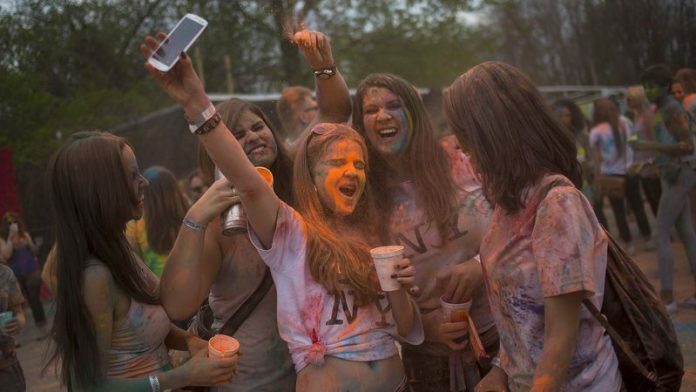 Just let your creative juices flow and let the diva in you conquer the Holi party this year. Woo! We can already feel the temperature rising.